These water drains as you can see are not maintained at all. This causes back up in the system. Not only does it cause a back up, it also looks bad and is very dangerous if someone does not see it and trips within the open drain. The city does not take care of their streets, money is being spent in other non important stuff. 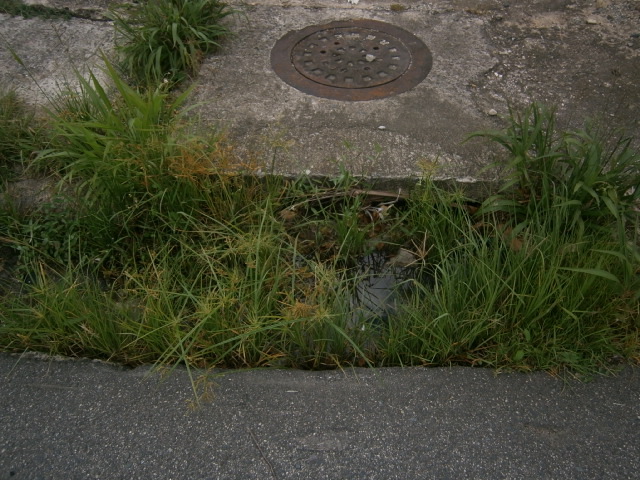 This drain is located in the street behind Super Max in Urb. Magnolia Gardens, Bayamon, Puerto Rico. How can people be so irresponsible? Our neighborhood is filled with elderly citizens and children. More has to be done to keep our streets clean and our environment safe. This occurs in times of drought and we are seeing a season with storms. Where has the common sense gone to? Who is responsible for the clean up?